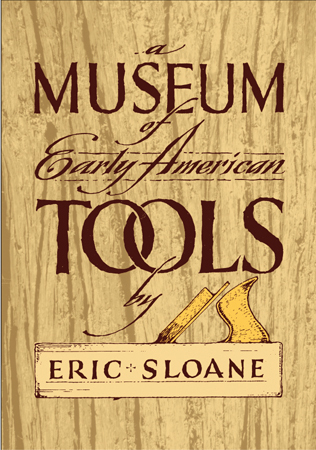 This was one of the most influential books on tools and had an impact on the current interest in tool collecting. There are over 180 pen and ink drawings by the author. Originally published in 1964, Sloane illustrates the uses of many of the tools and covers such diverse crafts as logging, carpentry, wheelmaking, tanning, splitting, tools with legs and much more. This absorbing book describes, in detail, farm tools and kitchen implements and how they were made. Includes devices used by curriers, wheelwrights, coopers, blacksmiths, loggers, tanners, coachmakers, and other craftsmen of the pre-industrial age. An informal, expressively written book for cultural historians, woodcrafters, and Americana enthusiasts. Unabridged republication of the edition originally published by Funk & Wagnalls, Inc., New York, 1964.